The Guardian were asking web authors for ‘three’ things to ‘enjoy’ about England. It may have been printed as 3 things to endure ….. Well readers of Gods Own County will know that is an easy question to resolve. Whilst my opening may now stop the Guardian from linking to this post due to their Lancashire roots, I will continue developing the theme of three things to Enjoy in England. They will be Ridings, Dales and Pastimes. In truth the use of ‘three’ by the Guardian is obviously aimed at our Ridings. We don’t have much truck with South Yorkshire the sorry excuse for a local government reorganisation of 1974, preferring to keep to The West Riding, East Riding and North Riding and the old county boundaries. Maps published with facsimiles of the Domesday Book show that significant parts of Lancashire were formerly a part of Yorkshire but that is a story for another day. 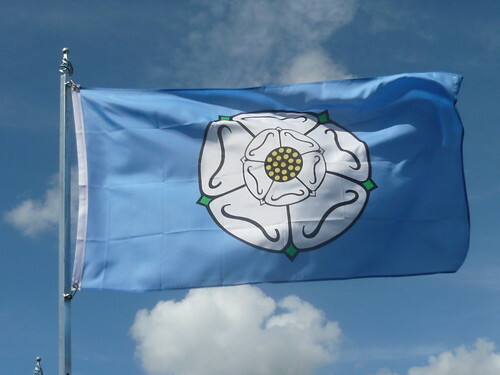 We support, with tongues in cheeks, the Yorkshire Independence Movement and the busy new Yorkshire search engine www.Goole.com. Choosing only three Dales is a ‘hard ask’ (what ever that is) when just one Dale from 16 in the Yorkshire Dales National Park could provide a life time of enjoyment. However this is our choice for the Guardian with a photo of Burnsall in Wharfedale. 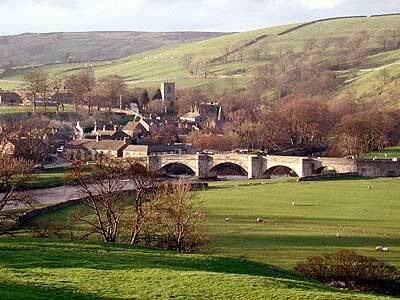 Wensleydale is full of riches amongst the towns and villages including Hawes, Askrigg, Leyburn and Middleham. From fast flowing falls on the river Ure at Aysgarth and Hardraw to local markets, auctions and racehorse training. That is to say nothing about local beer and cheese. 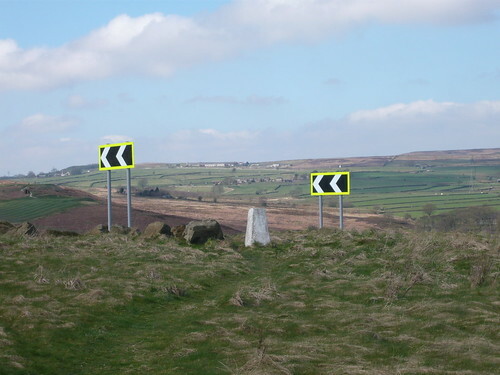 Wharfedale is the home of the Dalesway from Ilkley to the watershed at Oughtershaw. Wending its way through whirlpools at Bolton Abbey and limestone escarpements it is just the Dale for taking a long walk, having a good pub drink or enjoying a relaxing weekend break. Swaledale is a land that time forgot since it gave its name to the hardy sheep with the captivating black faces. Swaledale Sheep even have there own website. Not without culture there is the renown Swaledale Music Festival plus the villages, with names like Muker, Gunnerside and Reeth, which cater for walkers on the coast to coast walk. Folk Music can be heard in at least 3 great festival venues Whitby Folk, Otley Folk and in October at Ingleton Folk Fest. There is more Yo-Ho-Ho at the annual Sea Shanty maritime music festival at Hull. Traditional music is played in pubs and clubs throughout Yorkshire particularly up the East coast in Robin Hoods Bay. Lots more info is printed in Tykes News with details of hundreds of folk club events. At Gods Own County we are still collecting reports about hobbies and pastimes with a national interest but a local flavour. Trig Spotting on Baildon Moor lead to links to great web sites and exploits of those who bag trigs in the same spirit of the Munro climbers. The smaller society with more items to view is the Pylon Appreciation Society and you could also join the Rag Ruggers. The Yorkshire reputation for taking the micturition out of our financial prudence was exemplified by the Yorkshire Supermarket special offer ‘Buy One – Get One’. 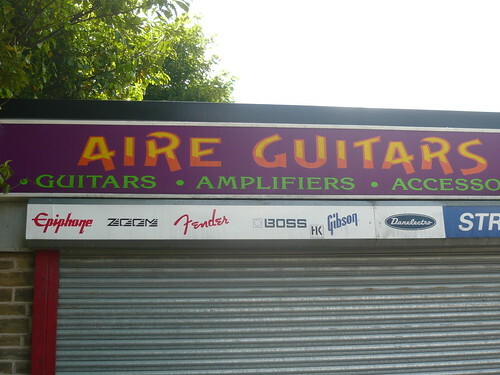 Shop sign Cakes 66p – Upside down cakes 99p.’ Nothing half baked about Yorkshire. Three cakes, Pontefract cakes, Havercakes and Cake ‘oles. A Yorkshireman shopping in London was asked ‘What is Sirs pleasure?’ He replied Whippets and Rugby League if it’s owt to do wi’ thee but reight nah I’d like a new shirt. Brilliant! Congratulations on being one of the Guardian’s chosen few. And where is Arkengarthdale in the list?